SAVE UP TO 20% ON YOUR NEXT SERVICE CALL WHEN YOU REFER A FRIEND! BIG SAVINGS WITH OUR DISCOUNT PROGRAMS! ENVIROTECH Pest Control has been servicing Cottage Country and hard to reach location for many years and have company A.T.V's as well as boats for island services! 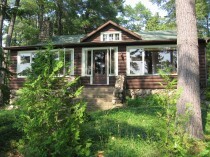 WE UNDERSTAND that Cottage Country presents a special challenge with regards to pest control! 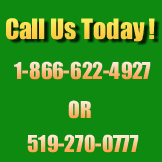 EnviroTech Pest Control is South Central Ontario's #1 Choice for all Pest Solutions. From hard to reach locations to islands we can deliver a SAFE and RELIABLE service. We have company boats and A.T.V. 's if required. We also have Custom Made, PORTABLE, High Pressure Application Equipment. This allows us to reach the Highest Peaks to deliver the Highest Quality of workmanship in the market place. These are just some of the common problems that we offer quick solutions for. We are just a phone call away. 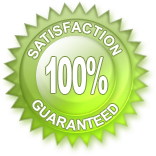 We have a strong reputation for offering high-quality service. This is what keeps our customers returning to us year after year. We stay up-to-date with advanced methodology and technology. We are courteous and respectful. We treat every home as though it were our own. Unmarked vehicles are available upon request. We are here to take care of your commercial, industrial, estate, healthcare, food establishment and home needs. We really do look forward to serving you. Let Orr's Property Management help you manage your time by providing you with four seasons of relialbe and prompt service in managing your business, home and cottage property with interior and exterior services!